Jessica Shipman is a bargain hunter, food lover, and software engineer figuring out how to be a pet parent for the first time. She shares her journey on Beagles & Bargains. 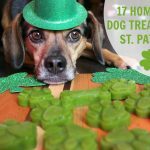 Your dog will feel the Luck of the Irish if you make one of these 17 DIY St. Patrick's Day dog treats. Choose from frozen, baked, and even doggy drink treats! Making sure the turkey is cooked in time is stressful enough. 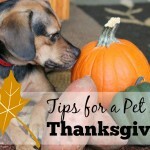 The last thing anyone wants on Thanksgiving is to deal with an emergency, especially one dealing with your pups! 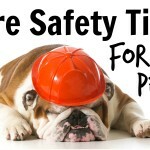 Today, July 15, is National Pet Fire Safety Day. An estimated 500,000 pets are affected by fires each year and nearly 1,000 of those fires are started by the pets themselves. The goal of this day is to spread awareness about how pets can cause fires, how to prevent them, and what to do in the event of a fire emergency. 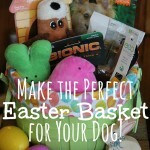 The first and only requirement to make the Perfect Easter Basket is to make sure that the Easter Basket is full. Filled to the brim is acceptable, but of course overflowing is preferred. 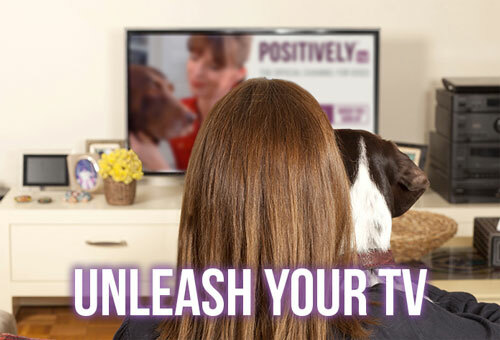 Celebrate Valentine's Day with your dog. 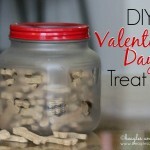 Show some love with this easy DIY Valentine's Day Treat Jar!